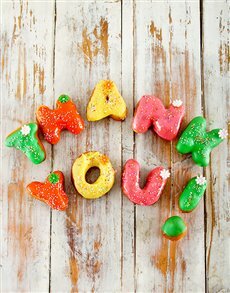 Spoil someone special with an edible chocolate arrangement from NetFlorist. Blissfully sweet, and delightfully appealing, this is an incredible chocolate gift because an edible chocolate arrangement is the best of both worlds, as it boasts the irresistible smooth and sweet taste of chocolate and the aesthetic appeal of an elegant floral arrangement. This favourite comes with a cuddly teddy bear with bow. Completing this edible arrangement is a variety of chocolate delights arranged in a box. Mixed roses and Lindt Chocolates make up our second favourite. This edible chocolate arrangement boasts all the delicious flavours of white, Irish Cream and cappucino, among others and is beautifully arranged in a square wooden crate. 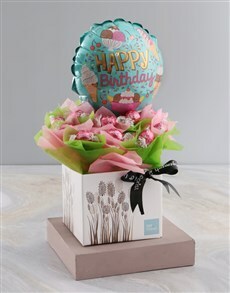 Mostly filled with an assortment of chocolate stars, Lindt chocolate, or Ferrero Rocher, these are arranged with bright tissue paper to resemble a bouquet alongside a stunning ballon. If you’re buying edible arrangements online to surprise a friend, a close colleague or a family member,why not send a delectable edible chocolate arrangement, such NetFlorist’s Lindt Chocolate Hat Box which comes with a wide assortment of flavoured Lindt chocolate truffles. This is a spectacular chocolate gift that the one dearest to you will utterly adore. 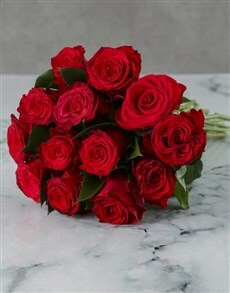 NetFlorist delivers to areas all across South Africa including areas in Durban such as Hillcrest, Pinetown, Umhlanga and many more. 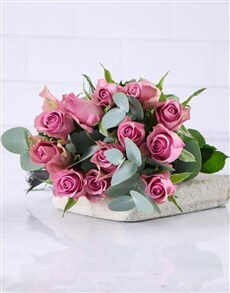 Buy online and have the NetFlorist bunch deliver it straight to their door!